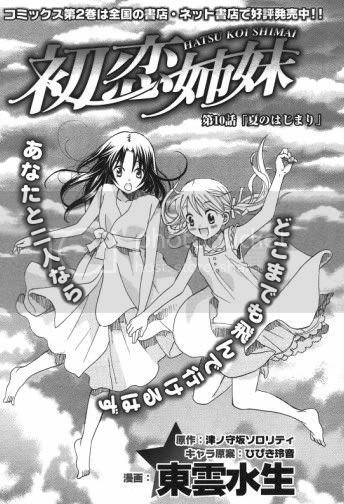 As promised, Hatsu Koi Shimai Chapter 10! 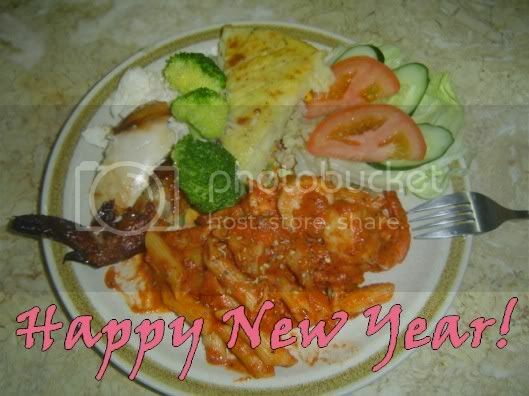 Btw, Happy New Year!!! Um, in around 2 and a half hours time? As this series is licensed by Seven Seas Entertainment, LLC, please buy your own copy to show your support for the mangaka and Seven Seas so that they could licensed probably more shoujo-ai mangas for us =). I do not scan, so I don't claim credit for it, so please do not ask me where I got my scans. PLEASE. It's the end of the summer semester exams and Akiho asked Chika what plans she's got for the holidays. Chika just grinned to herself before she could reply, it's time for classes and they rushed off. Chika felt very excited that she could plan on how to spend the first semester holidays in Tsunokamizaka Girls' Academy with Haruna. Touko-sensei who was standing beside Chika surprised her by saying it's time to enter the classroom and went on to tease Chika by cooking up some weird notions of offering one-to-one remedial lessons after school lol. Touko's fangirls in class heard that and demanded remedial lessons too lol. Touko appeased the crowd by changing the subject to announce their semester results. During break, Chika met up with Haruna at their secret garden for lunch, even though it's already summer, the girls were feeling rather cooling under the shade of the trees. While eating, Haruna asked how was Chika's semester results lol, Chika nervously replied that there's no problem and added secretly she had a borderline pass lol. Glad with the reply, Haruna told Chika that she wanted to spend the summer holidays with Chika and she even remembered Chika's birthday [August 11th]. 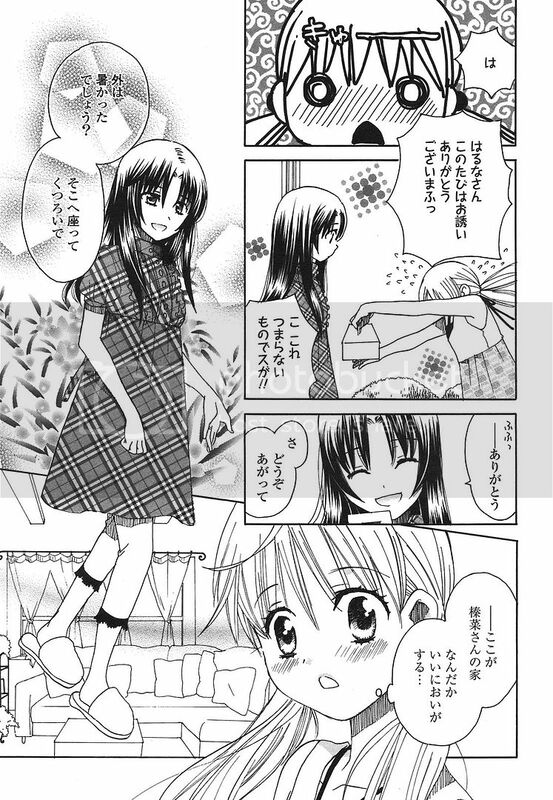 Chika then took out some cheese tarts she made for Haruna as she remembered Haruna seemed to like cheese. 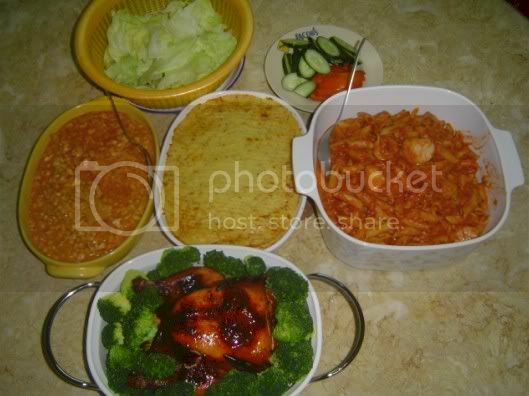 Haruna was impressed, not only was Chika good at handicraft but also in culinary too. Chika told Haruna to have more and suddenly she made a pun on how easily Haruna was 'satisfied' with 'tart' lol ['チ-ズタルト' = Cheese Tart, the word 'タルト' Tart/Taruto had the same pronunciation as Satified '足ると']. Looking at Haruna's blank expression, Chika thought she had made a fool out of herself again lol. To her surprise, Haruna started giggling, called Chika cute and went on to make a drama expression on the admiration she had for Chika lol. Haruna revealed that she love to watch Japanese Comedy Variety shows and went on to list the names of the shows which Chika had totally no idea about. 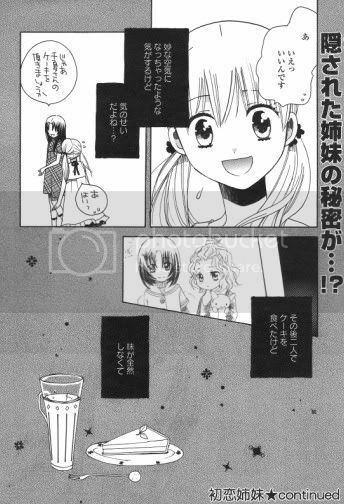 Chika's really happy that she found out another new thing Haruna likes and wanted to know more and more about Haruna. Placing her hand over Chika's, Haruna confessed that she wanted to reveal her real self to Chika too, even though she might be clumsy in her expressions but she always wanted to be near and the most close to Chika. 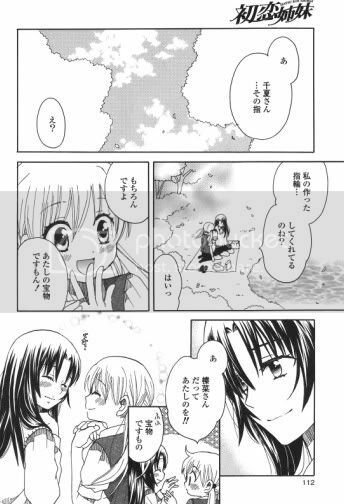 As Haruna was confessing her feelings to Chika, little did they knew that Akiho was watching them from afar with a rather blank look on her face and turned away. 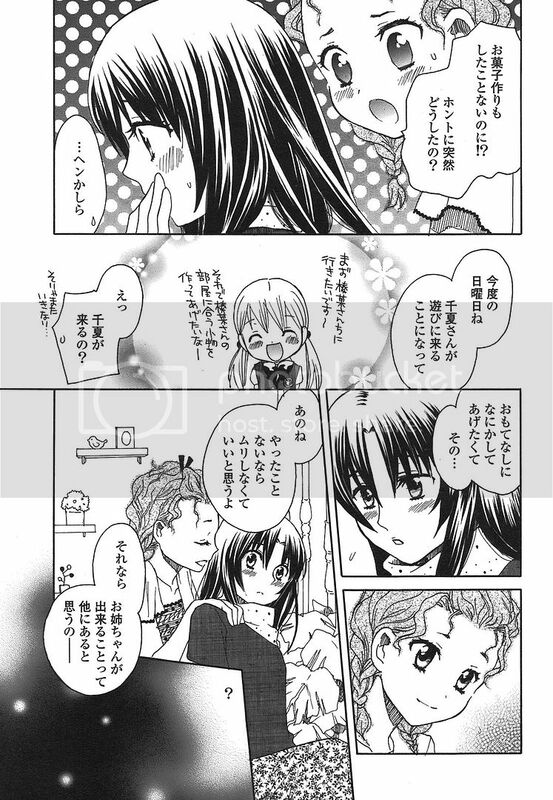 Chika was touched by Haruna's words as she never had thought of having this scene with Haruna. 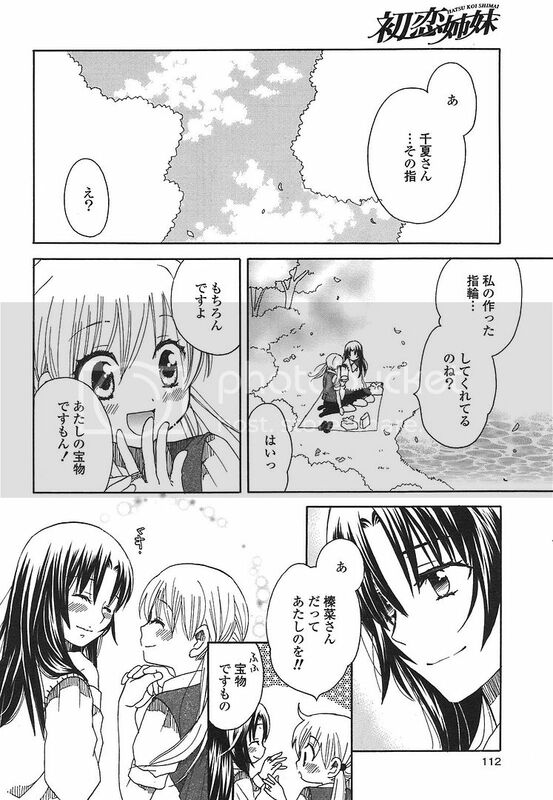 Haruna went on to kiss Chika, whispering that she likes her ... more than anyone else and Chika answered that she too. Chika felt like even though she closed her eyes, she's embraced by a ray of light, so bright and warm. 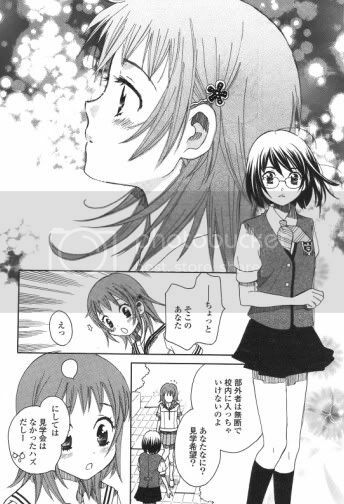 As Akiho was walking back, she met Touko who asked if she's feeling fine. 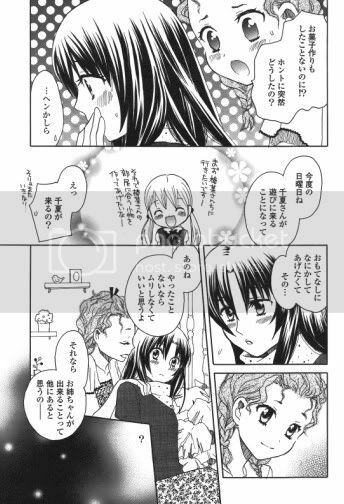 Akiho smiled and said she's fine as her heart has been released and probably it's because of Touko-sensei who had listened to her feelings back in Chapter 9. Touko smiled and replied that she's very happy as she's been waiting for Akiho to say these kind of words to her ... and asked whether if Akiho felt a little love for her yet? lol. Akiho was pretty much shocked speechless. 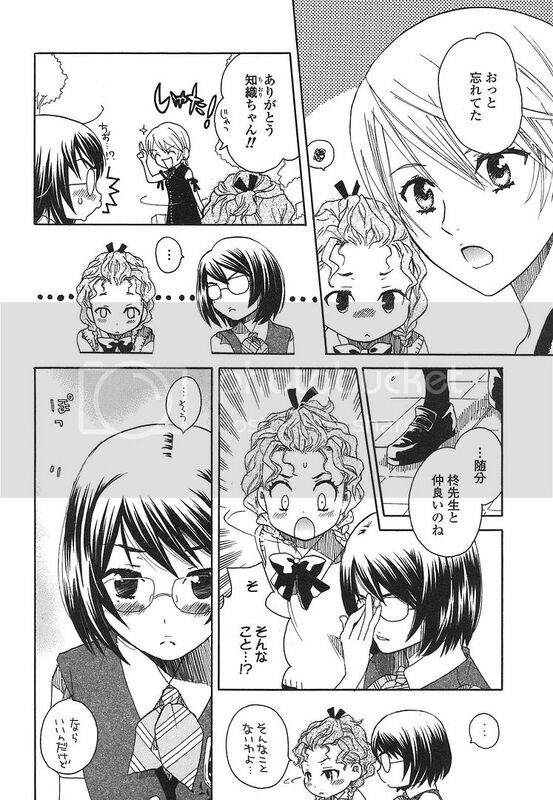 Chiori interrupted the friendly chat by reminding Touko-sensei that a teacher was calling for her. When Touko-sensei left, Chiori pointed out that Akiho seemed rather chummy with Touko-sensei. Akiho blushed and protested rather half-heartedly. Chiori murmured, then it's good ... lol. Chiori then noticed a girl [New character!] who was wearing another school's uniform hanging around the area. Chiori called out to the girl and told her that outsiders are not allowed within school compounds and there's no special events ... The girl merely smiled, patted Chiori's shoulders, said sorry and left with an excuse losing her way as she found the school area beautiful. Chiori was left feeling puzzled at the girl's actions. Meanwhile, Kirika and Miyu were on the rooftop enjoying the breeze as Miyu's practicing the scripts for her club. 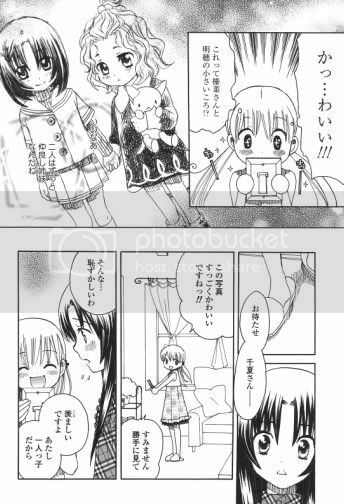 Miyu told Kirika that she felt rather embarrassing that she seemed to be taking on a role of a Princess this time. 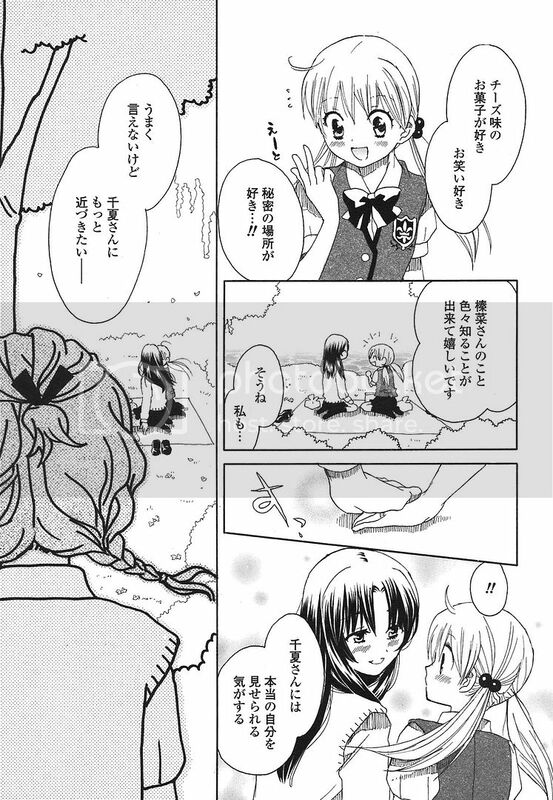 Kirika shyly replied that the role of the Princess's suitable for Miyu, causing Miyu to blush. Miyu added that of all people, Kirika should know that she's rather tomboyish when they were young and once she got into a fight with a bully who bullied Kirika. Kirika protested, saying that but she's now ... now ... Miyu interrupted and asked how's Kirika's doing in her Archery club instead. Meanwhile, Chika and Haruna were acting all lovey-dovey as they noticed each other still wearing the precious rings they made for each other. As the girls chatted about the handicrafts Chika made, Haruna mentioned that it would be nice if she could visit Chika's house. No doubt, Chika happily agreed. That night, Haruna asked Akiho to help with the computer, to her surprise, Akiho found out that Haruna didn't even switch on the power of the computer lol. When Haruna explained to Akiho that she wanted to find dessert recipes as Chika's visiting their house that weekend and she wanted to make some for her. 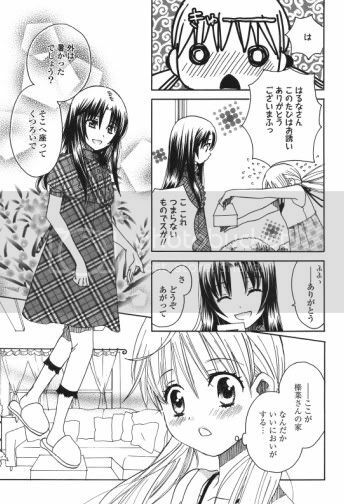 Akiho told Haruna not to force herself to do something she's not really good at. 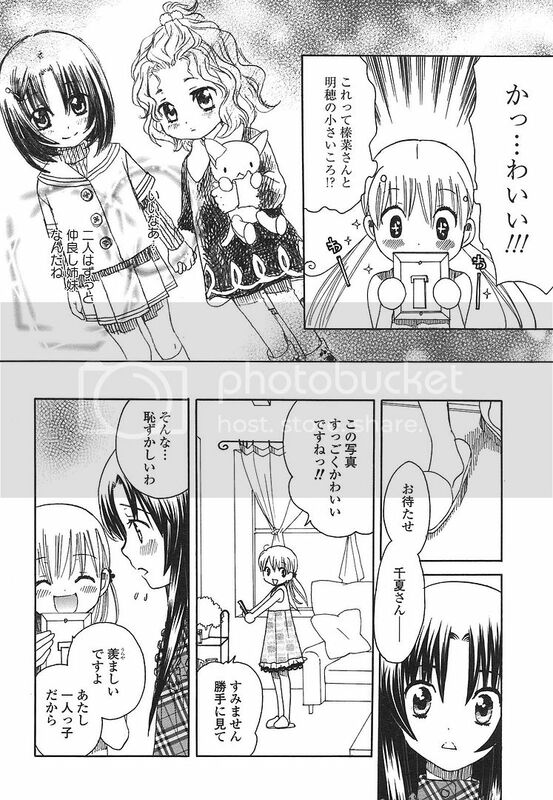 That weekend, Chika was astonished when she found out that Akiho and Haruna's house was that huge lol. When Haruna greeted her at the door, Chika bowed formally, thanked Haruna for inviting her and even presented her a gift of appreciation lol. Haruna smiled, asked Chika in and served her a glass of cocktail, a mixture of passion fruit and grapefruit. 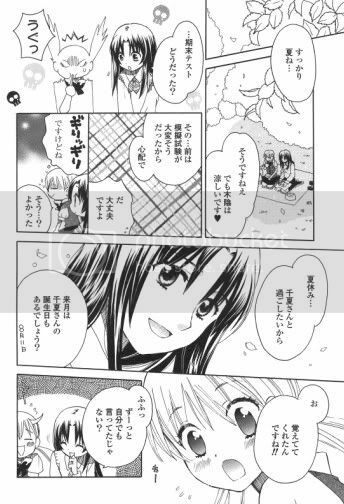 Haruna added that the fruits mentioned above seemed to suit Chika pretty well ... As Haruna went to get a knife to slice the Blueberry cake Chika brought, Chika was musing how happy she was that Haruna had prepared the cocktail especially for her. Chika noticed a photo of the young Akiho and Haruna on the side and gushed how CUTE both of them were lol. Chika then told Haruna who just entered the room that she really admired how close the sisters are as she's an only child. Chika then asked to see the sisters' baby photo albums, but was refused by Haruna who quickly gave an excuse that she couldn't find the photo albums at the moment. 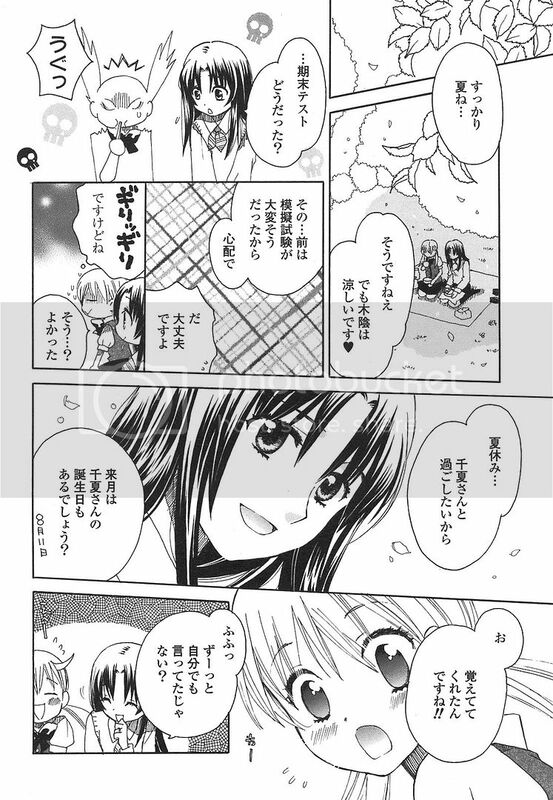 Haruna's hiding something from Chika, ... does it have anything to do with Akiho? Chapter 11 will come probably later this weekend or next week. 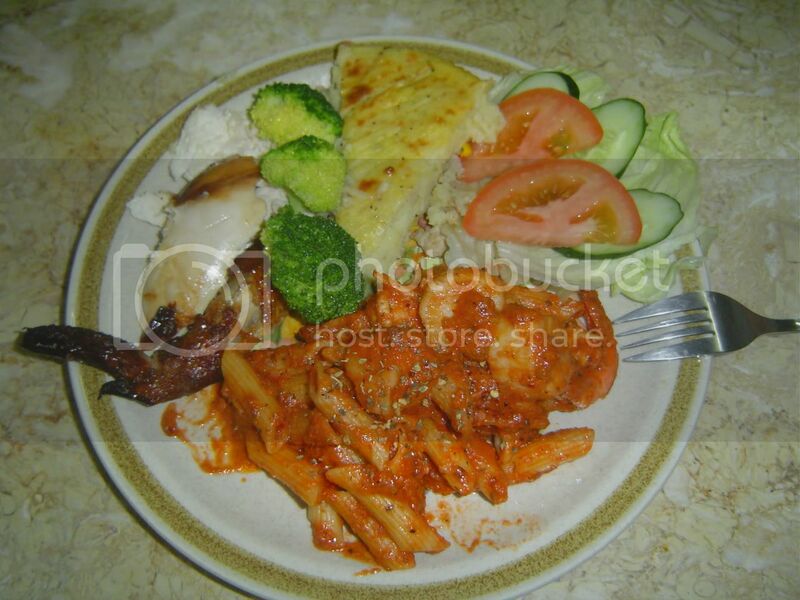 Resolution for the new year is to lose 10kg!!! LOL. Oh yeah, went to watch 'I am Legend' and 'The Golden Compass' this afternoon at Golden Village ... both movies were ... well okay la. 'I am Legend' kinda feels like 'Resident Evil: Extinction' with the worldwide apocalypse thingy, man-eating zombies/doggies but the former focuses more on the humane and psychological feelings of man. The need for contact and I remembered my dad said that 'Humans are born social beings' when I said I can live alone lol. 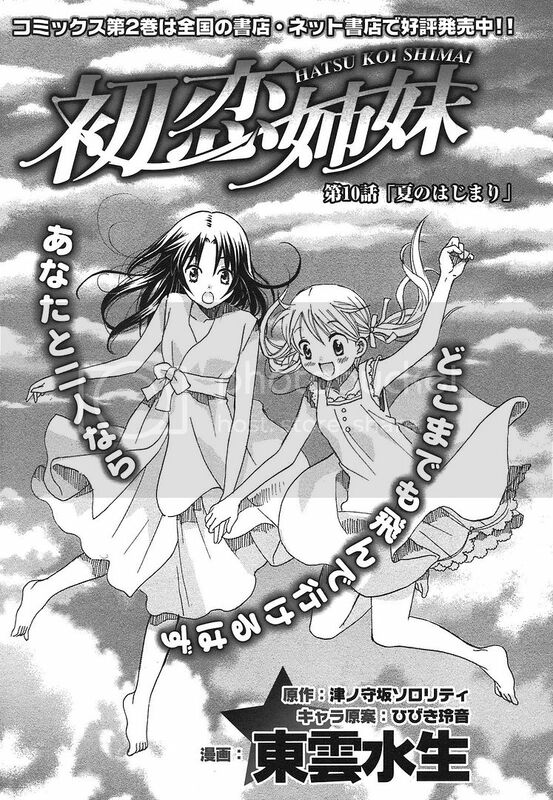 PS: New Song of the Month for January 2008, Higurashi no Naku Koro ni Kai - Naraku no Hana! Happy New Years!! 2008, and thank you for doing another post of First Love Sisters! Love it! Keep it up! :D I can't wait until you post the next chapter!!! Again, thanks you and HAPPY NEW YEARS!!!! Ohhhh... I like that theory about the sisters. 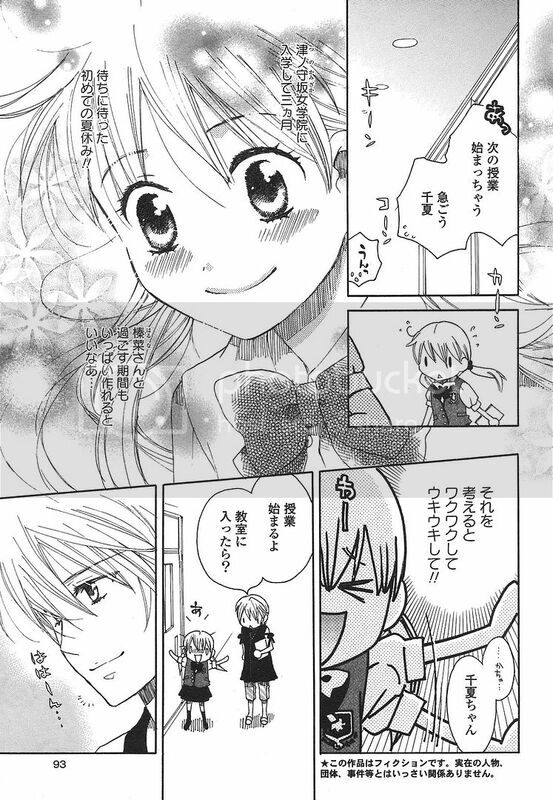 It would be an obvious twist... Because a lot of other mangas do things like that, but with girl x guy, you know. But then again you never know what might happen. Also, I think Kirika and Miyu are a cute couple. x3 But you never know if Akiho might harbor some real feelings for Touko... Or maybe Touko ends up with no one. >>; Just an add-in. But oh well. to keebler, Happy New Year to you too =). Welcome, I'll be sure to post Chapter 11 this weekend! I think it'll be a while before I post Chapter 12 cos the Mandarin ver is not out yet. Be warn though, Chapter 11 ends at a cliff hanger lol. to ri, yeah, Happy New Year! Well, you got Kirika/Miyu correct, there's hints of Akiho/Chiori but it's kinda an unrequited love so ... *wrong! * Touko/[some new character is wrong too, and so is [new character]/[some new character] haha. Whoa, you're pretty good, not that I wanna spoil you but that will be revealed on Chapter 11 ... lol. to keebler, Akiho does have feelings for Touko ... as usual, revealed in Chapter 11 XD. like what ri said, i have a feeling that Akiho and Haruna are not real siblings..